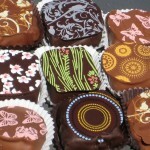 Sara Bauer hand makes chocolate truffles using natural ingredients and featuring beautiful designs. Custom designs are available. Along with making wonderful Handmade Chocolate truffles, Sara provides cupcakes, scones, occasional flowers and herbs. Located at the Bread Ladies booth, you will find Fresh roasted coffee in Whole and Ground beans including our Mountain Man, Logger Blend, Dobson Creek or Bust, and Night Rider varieties. 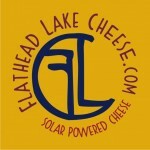 Down at the base of Polson Bay, you’ll find a bright yellow, two story building with a 140 tube solar array crowning a copper roof; the home of Flathead Lake Cheese. Husband and wife team, Joe and Wendi Arnold, did the majority of the building themselves and became operational in March of 2012. Creating a solar thermal based pasteurization process is just one of the unique features of the facility. Working with local dairies, we craft cheeses, 275 gallons at a time, making several types of aged Goudas as well as fresh curds and feta. Along with our weekly presence at the Farmer’s Market, you can come and visit our walk up window, open Monday through Saturday – 9 to 5, and sample our cheeses. If we’re not working on cheese, we’d love to show you around the Creamery. There’s always something going on – visit our website or Facebook page to find out what we’re up to. In addition, Wendi’s mother sells beautiful jewelry. Pies, Tarts, cakes, cookies, and scones. Gino’s Photography, Mrs.Wonderful Sea salts, Garlic Head BBQ sauce, Italian bread, polish pastries & baked goods. Fresh Baked Pastries and Scones. Fresh Baked Breads: Homestyle White, White Dinner Rolls, Wheat, Wheat w/seeds, Oat & Honey, Swiss, Cinnamon Raisin Swirl, Cinnamon Swirl, French Bread w/garlic, thyme & parmesan cheese. Beans and ground, Bead work & Jonny Corners. Fresh Cut Flowers and Floral arrangements, wooden spoons and some vegetables. Locally grown Dixon Melons, muskmelon, red & yellow watermelon, honey orange, Crenshaw, canary and more. Fresh Roots Farm is a small, diversified certified organic vegetable, small fruit and seed farm located seven miles south of Polson at the base of the Mission Mountains. We strive to enhance the ecology of the farm and use a holistic approach to each decision that we make; through this process we learn from the soil, plants and animals. Our family grows through this process and learns to accept the challenges and surprises that accompany farming. We invite the eater to be part of our farm. Please feel free to stop by for a visit and of course we might put you to work. Perennials, annuals, herbs, vegetable plants, shrub trees, Fresh produce, and berries, cut flowers and jam. Vegetables including potatoes, cucumbers, beets, carrots, onions, sorel & other herbs, and strawberries. Hanging Flower baskets, Bedding Plants, Honey and Matted Photographs and homemade specialty breads. Bedding plants, flowers and Vegetables galore. Vegetables, fruit, baked goods, and poultry. Original Native art, Painted feathers, beadwork, and jewelry. Deer and elk horn jewelry & products, sea glass jewelry & products, all handmade by me!! Matted photos, handmade jams, canes and afghans. Wooden crafts, cribbage boards, animal banks, rocking animals, bird houses & crochet goods. Alpaca products: Yarn Rouing, pottery yarn bowls, lazy kates, socks, and soaps. All natural bath soaps made with 8 quality vegetable oils including Shea Butter, Almond, Avocado and vitamin E all displayed in a unique designer packaging. Jeans purses & crafts, mobiles, patio lamps/vases, jewelry, houseplants, fresh herbs & flowers, jams & jelly. Handcrafted Jewelry, earrings, anklets, bracelets, necklaces, gemstones, and freshwater pearls. Upscaled recycled junk art, silverware jewelry, and wood creations. Stained glass items & ornaments, watercolors, original printmaking & framed & unframed artwork. Potholders, potato bags, pillowcases, yarn, scarves, and baby hats. Doll clothes, aprons, clothes for kids, hats, kitchen towels, bibs, shoes, aprons, and dolls. Jewelry, agate nightlights, tumbled stones, and mineral specimens. Handmade silver earrings, feather earrings, metal earrings, porcupine quill earrings, & bullet keychains. Handcraft items, crochet products, hair pretties, hats, and upcycled home décor. 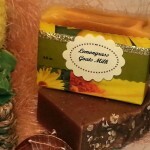 Handcrafted organic soaps, lotions, lip balms, scrubs, bath salts, mosquito repellant and more. Quilted wall hangings and tablerunners, leather pillows & zip bags, and jewelry. Jewelry, towels, my own design t-shirts, and sun catchers. Native American Beadwork, earrings, necklaces, pins, hat rims, bracelets, keychains, and zipper pulls. Fabric items: potholders, placemats, napkins, table runners, and decorative pillows.